Our simple and secure document shredding services are designed around you, to make light work of confidential document destruction. Our 3 simple steps are very straightforward. 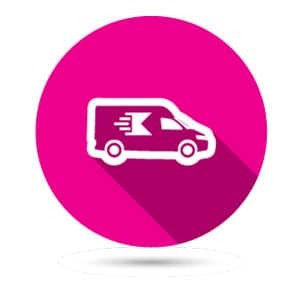 You simply order a package with the right number of sacks for you, fill them up in your own time and then drop them off at one of our secure shredding service centres. You can also add a collection service for added convenience. 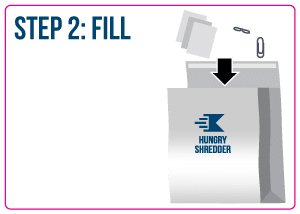 Home shredders can be slow, messy and jam easily. Why waste your own time or staff time on document shredding when you can use our secure document shredding service? Whether you are a busy household or a small or medium sized business, we’re the local shredding company to take that headache away. 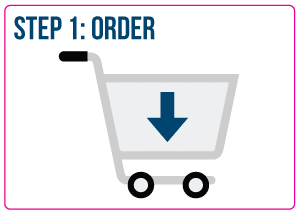 We make it easy for you to buy online with clear and simple pricing. 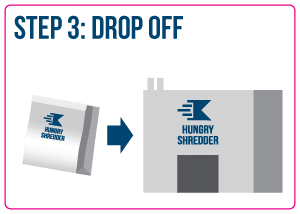 Our popular Annual Plans keep your day-to-day shredding needs covered. Sign up today for a free trial! If you’re planning a clear-out, one of our bundle packs will help too. All prices include secure shredding and a Certificate of Destruction for complete peace of mind.